Good interview. Joe is awesome. Joe has replaced Sam from Different Strokes as my all-time favorite red-head. He's the bomb. Yes, the bomb. aw this is so cool! I went to grade school with Joe and I never would have suspected this. Joey is awesome! i think joe is very funny, but he is a little too short for my liking. joey is the worst comedian alive. he is neither funny on or off stage. 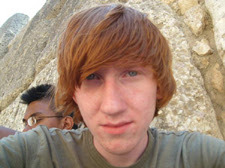 someone end his career and life... that ron weasley looking mother fucker. Latest Louis Vuitton Sunglasses series of this season is also a surpring masterpiece that features unique three-dimensional technology. When Louis Vuitton Meets Infiniti, Infiniti has created this hybrid sports car called Essenc super mixed dynamic sporty car. The Louis Vuitton Alma Series can be said as one of my darling Louis Vuitton handbags whose shape is typical for many. How Come Louis Vuitton Monogram Values So Much and the fans and other people will inevitably gives out impossible voices of skepticism. Marc Jacobs thought that the era had brought new opportunities to the luxury designers and Marc Jacobs Leads Louis Vuitton to Low-Priced.